Curve Stone 5.6 ft. Artificial Stone Centre Drain Oval Bathtub in White Curve Stone's freestanding series style can be interpreted as both contemporary and classic design, allowing full enjoyment of deep soaking comfort. 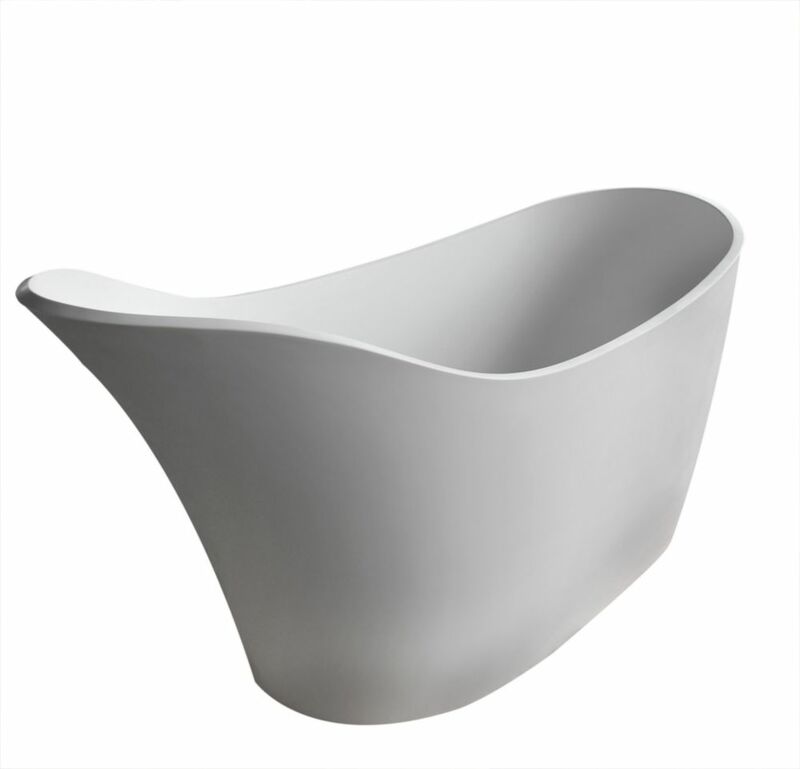 It creates an elegant, functional centrepiece for your bathroom and the focal point for relaxation. Aesthetically appealing and physically soothing, merging both worlds into a triumph of elegance.